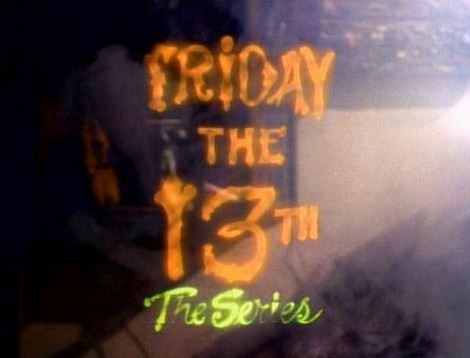 It’s the Halloween season, so let’s watch season one of Friday the 13th: The Series. 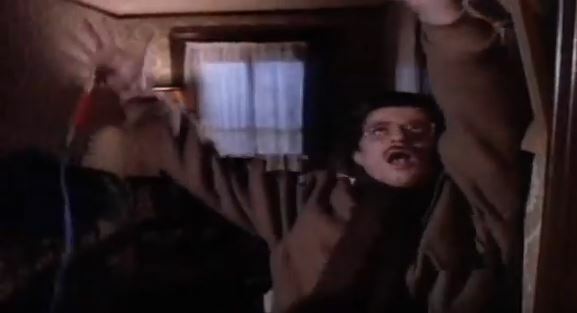 Here’s episode seventeen, “The Electrocutioner” which predates Wes Craven’s Shocker by two years. We begin years in the past, where Eli Pittman is sentenced to the electric chair for killing his girlfriend, despite his protestations that he’s innocent. They have to throw the switch on him three times, and yet each time he’s still alive. Cut to the present, and Pittman is working as a dentist under a fake name. 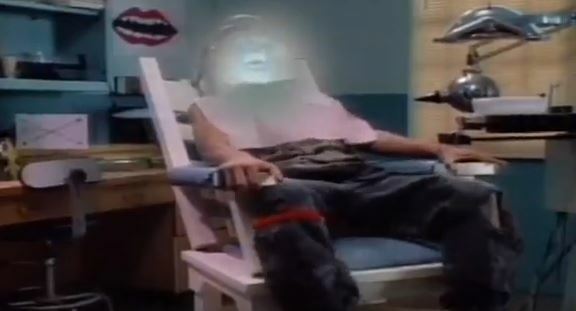 He has a cursed antique electric chair doubling as his dentist’s chair. He electrocutes his victims to death, and this gives him temporary electro-superpowers. He then uses his powers to fatally zap those who wrongfully sent him to the chair. 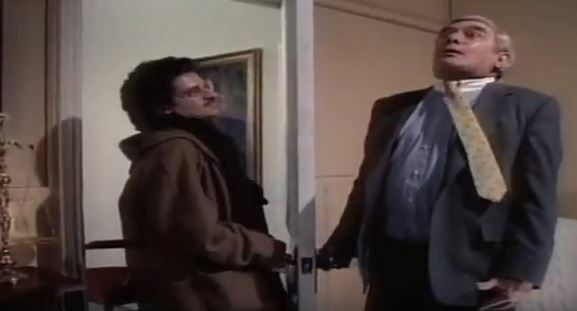 Ah, the old zap ’em through the doorknob gag. When the show is smart: The opening flashback to Pittman’s execution is filmed in grainy black and white, with no music and little dialogue, for a real raw footage/documentary feel, unlike anything the show has ever attempted. When the show is cheesy: This episode has a lot edu-tainment, where Jack explains to the others how electricity works. Maybe this show was aimed at younger viewers after all. 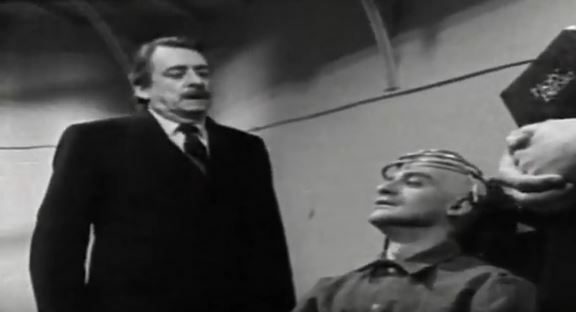 – This is the first of three episodes in which Angelo Rizacos plays the villain. To his credit, though, it’s a different villain type each time. – Wikipedia for some reason doesn’t include the electric chair on its list of really big antiques, but I say it counts. Again, there’s no explanation of how or if the store’s vault can hold these bigger items — at least not until they get a bigger space in season three. Back in the vault: I’m still waiting for someone to make the definitive killer-dies-in-the-electric-chair-and-comes-back-with-lightning-powers movie. Like the others, this one is a nice try, but not all it could have been. Next: Hey there, smart stuff. This entry was posted in Friday the 13th. Bookmark the permalink.